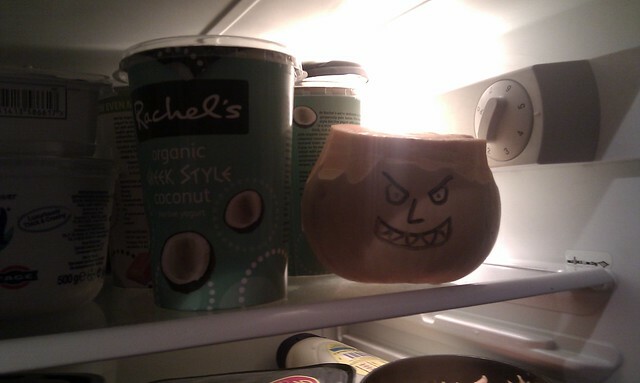 I opened the fridge to find this. It was worrying. I was afraid. 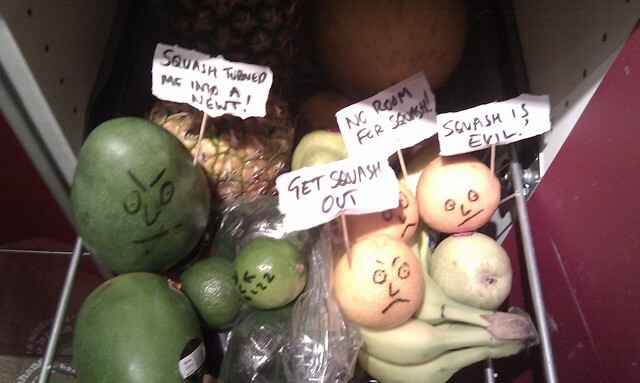 The squash had turned bad. It seemed I wasn't the only one who had noticed. 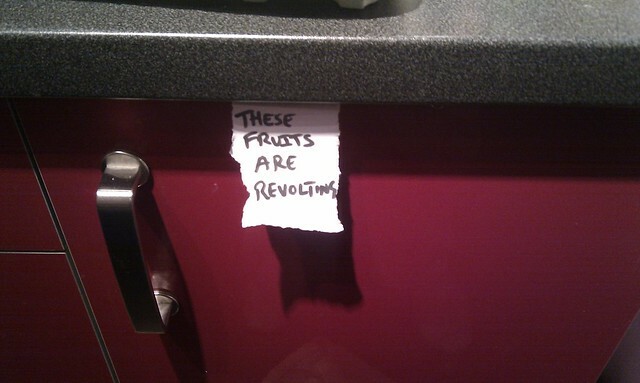 Turned out, the squash had been evicted from the fruit and veg cupboard, for some very good reasons. There had to be some restorative justice, but luckily I managed to fix the issues and everybody is happy now. As you see, luckily, the mango got better. The moral of this story is, don't feed your husband cupcakes which have squash in without telling him.